The Fedora Project has represented the Google Summer of Code program for ten years and we are participating in the 2016 program as well. This wiki page serves as the GSoC portal. Please feel free to contact us via sumer-coding list for clarifications and more information. You can also use the IRC channel,#fedora-summer-coding. Students who are looking for challenges and would like to contribute to the world’s most leading and innovative Linux distribution, this could be the chance. Please feel free to contact and refer to the material and start contacting mentors. Many long-time contributors continue to be around, lending expertise and mentoring. People who stay around the community and do good work are noticed. They get hired for jobs from it, including being hired by Red Hat. Past Google Summer of Code students were hired by Red Hat, as well as interns in various positions. This is just an example, as experience and reputation in the Fedora Project communities is influential on your career in many ways. As long-standing communities with many facets, it is possible for you to find many rewarding sub-projects to work on. Please check the step-by-step guide for students. In order to clarify matters and/or obtain more information related with this year’s GSoC with Fedora, please contact the administrators directly (please consider CCing the summer-coding list where ever possible). The contributors of the Fedora Project can propose ideas and mentor them. Please feel free to check following links and please add your ideas to the main idea page. Furthermore, if you are not interested in proposing an idea but still want to support the program, please check the students' idea page and pick one as per your interest. 13 October, 2015: Program announced. 8 February, 2016: 19:00 UTC Mentoring organizations can begin submitting applications to Google. 19 February: 19:00 UTC Mentoring organization application deadline. 20 - 29 February: Google program administrators review organization applications. 29 February 19:00 UTC List of accepted mentoring organizations published on the Google Summer of Code 2016 site. 25 March: 19:00 UTC Student application deadline. 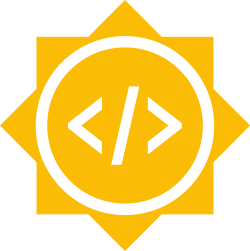 22 April: Accepted student proposals announced on the Google Summer of Code 2016 site. 23 May: Students begin coding for their Google Summer of Code projects; Google begins issuing initial student payments provided tax forms are on file and students are in good standing with their communities. 20 June: 19:00 UTC Mentors and students can begin submitting mid-term evaluations. '''27 June: 19:00 UTC '''Mid-term evaluations deadline; Google begins issuing mid-term student payments provided passing student survey is on file. 15 August: Suggested 'pencils down' date. Take a week to scrub code, write tests, improve documentation, etc. 21 to 23 August: Final week: Students tidy code, write tests, improve documentation and submit their code sample. Students also submit their final mentor evaluation. 23 August: Mentors can start submitting final student evaluations.